Each year, security experts see new evolutions in cyberthreats to people, businesses and governments. Our adversaries know no boundaries. 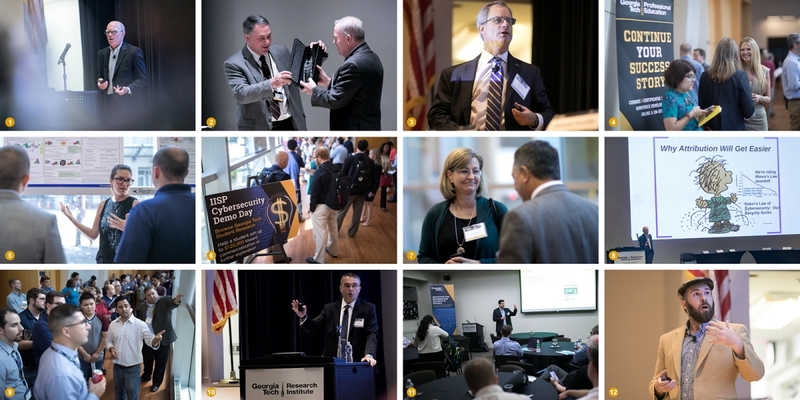 The 15th Annual Georgia Tech Cyber Security Summit brought together government, industry, and academia to prepare for the newest challenges in securing information and cyber-connected systems. Georgia Tech's next Summit will be held Thursday, Oct. 4, 2018 in conjunction with the Sam Nunn - Bank of America Policy Forum. In the meantime, download last year's Summit materials or join Georgia Tech at these other events. Find copies of presentation slides and complete research papers. 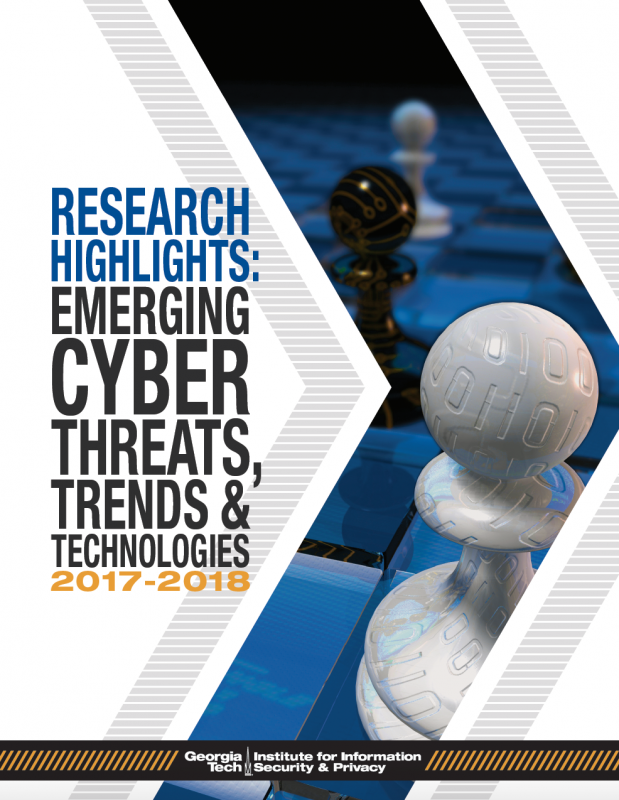 Save a copy of the 2017-18 Research Highlights report. Captions (from upper left): 1.) 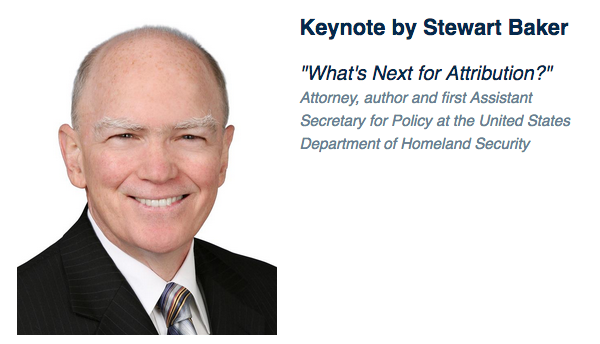 Stewart Baker, attorney and first Assistant Secretary for Policy at the U.S. Department of Homeland Security, delivered the keynote address. 2.) Bo Rotoloni, the outgoing co-director at the Institute for Information Security & Privacy, received an award of honor from Executive Vice President of Research Stephen Cross. 3.) Peter Swire, professor and associate director of policy at Georgia Tech, explained why cross-border data sharing could help prevent law enforcement backdoors into personal devices. 4.) Cybersecurity short courses by Georgia Tech were open for registration at the 2017 Summit. 5.) Ph.D. Student Stacey Truex shared her research. 6.) Students from business, public policy, electrical engineering, and computer science programs were invited to display research at the Summit. 7.) Associate Director of Trust Margaret Loper attended with an interest in the security of machine-to-machine communications and IoT devices. 8.) Baker explained why he believes 2017 will be remembered as a turning point in the quest for better cyber attribution. 9.) More than 300 guests examined student research and voted on which projects they'd most like to see commercialized. 10.) Assistant Professor Manos Antonakakis revealed early insights from a $17-million project for the U.S. Department of Defense. 11.) Ph.D. Student Panagiotis Kintis discussed a multi-year examination of "combosquatting," or malicious domain-name abuse. 12.) Ph.D. Candidate Chaz Lever shared how the network layer can reveal early clues that a malware infection or cyberattack is coming. Guests representing industry, government, military and academia had an opportunity to meet students from the Georgia Tech computer science and engineering programs and examine their research. All attendees at this free, interactive event received a copy of research highlights by Georgia Tech. 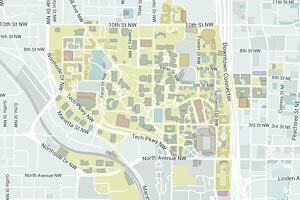 Meet Georgia Tech students and examine their current research. Vote for the projects you'd like to see move to market, and help a student win up to $125,000 in startup funding, grants, and mentoring toward commercialization. 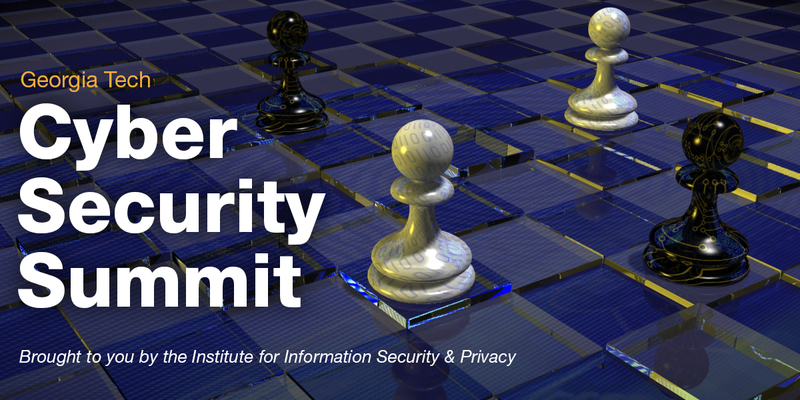 The IISP Cybersecurity Demo Day program is a year-long movement toward marketplace solutions that begins with your input at the Summit! Made possible by generous funding from the National Science Foundation's Innovation Corps, VentureLab, and Create-X Startup LAUNCH. Choose one of two concurrent sessions. The 15th Annual Georgia Tech Cyber Security Summit provided an in-depth examination of attribution: how to do attribution well, how to persuade others it was done well, and how to maximize the deterrence effect. Attribution performed by the private sector and nation-states look very different and have different aims. What problems can occur when different methods of attribution are combined in an attempt to bolster the official finding? And what happens when someone discovers how to game the system...? Often the question of "who used it?" is just as salient as "who made it?" when dealing with attribution of malicious activity. Researchers at the Institute for Internet Security & Privacy are working across several fronts of the attribution problem set -- spanning activities such as cyber espionage, cyberattack, and cyber influence. Organizational leaders, lawmakers, C-suite executives, and information security tacticians gained a foothold in the expanding topic of cyber attribution at this annual event, which featured research findings throughout the day by Georgia Tech and its national collaborators.